23 Jul 2017 Washington, D.C.
Scaramucci comes from humble beginnings in a blue collar neighborhood on Long Island in New York. He discussed during the Tapper interview, which came after he discussed it even more in his first exclusive interview as communications director for the White House—in an interview with Breitbart News Saturday on SiriusXM Patriot Channel 125. So, when Scaramucci appeared afterward on Sunday on CNN’s State of the Union with Tapper—who also hosts “The Lead with Jake Tapper” on weekdays—he was talking about it again. And interestingly, Tapper puffed up his own credentials trying to link himself back to the middle class and the working class in America—a link he does not have. “I grew up in a very similar neighborhood in Philadelphia,” Tapper told Scaramucci on Sunday. Tapper, when he was growing up, went to a private elite high school with exorbitant tuition rates. The Akiba Hebrew Academy in Bryn Mawr, Pennsylvania. His father was a graduate of Harvard Medical School, and a wealthy pediatrician. Before Harvard, Tapper’s father went to Dartmouth—another Ivy League school that Tapper would eventually attend. 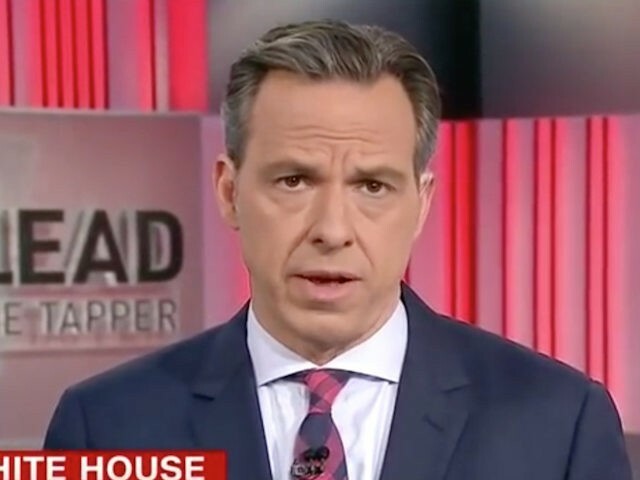 Tapper and CNN spokeswoman Lauren Pratapas have not answered detailed questions from Breitbart News about how much money Tapper’s family paid for him to go to Akiba or how they paid it—renamed in 2007 the Jack M. Barrack Hebrew Academy after a $5 million donation from the Barrack family. Tuition at the Barrack Hebrew Academy, according to its website, is now in the range of $26,500 to $32,500 per year. The school’s finance director has not responded to a request for comment on how much tuition would have been in the 1980s when Tapper went there. Tapper and Pratapas have also not answered what years Tapper went to Akiba, but from publicly available news reports it appears Tapper went there from at least eighth grade through his senior year of high school to graduation in 1987. He may have gone there longer, as it appears that the school—at least now—offers classes from sixth grade through high school. They have also not answered how Tapper got into Dartmouth, and whether the fact that his father was a graduate of the Ivy League school played any part in getting him in—or how much Tapper paid to Dartmouth in tuition and how he and his family paid it. They have also declined to answer how much the house he grew up in was worth. When Breitbart News contacted Tapper with these questions Sunday afternoon after he made these comments earlier in his interview with Scaramucci, Tapper added Pratapas—CNN’s corporate communications spokeswoman—onto the email. He has not answered any of them, nor has Pratapas. Instead, Tapper took to Twitter to try to pre-empt this Breitbart News investigation into the latest fake news from CNN—going on a Tweet-storm on Sunday afternoon with a number of comments about this matter. That someone was us at Breitbart News–with the above-mentioned questions. Tapper went on for many more Tweets. Tapper retweeted that Tweet from his colleague Merica. Tapper and Pratapas have not responded to a follow-up email seeking comment on why Tapper’s behavior–tweeting to pre-empt a news investigation–was acceptable, given the fact it was the same thing Trump Jr., did. Tapper is already coming under serious criticism for what he did to inflate his connections to blue-collar Americans–when he is in fact an Ivy League elite. CNN was forced to retract the very fake news hit piece as a result of Breitbart News’ investigation, and three of the network’s senior-most editorial staffers, including the head of CNN’s investigative unit resigned in disgrace. The network–including Pratapas and other spokespersons like Emily Kuhn, Richard Hudock, and Liza Pluto–continue to refuse to answer any questions about the scandal. The network refuses to be transparent about this matter and a whole host of others, abandoning the pretext of journalistic integrity. More from Breitbart News’ investigation into the very fake news scandal engulfing CNN is forthcoming.